Health Informatics What is Health Informatics? As the healthcare industry continues to grow, new jobs are being created in a number of different fields. As the technology used in the medical field advances, the need for experienced and competent computer science majors is on the rise. One field that is experiencing rapid growth is the field of healthcare informatics. In order to gain a more lucid insight into career and business opportunities associated with healthcare informatics, it is important to gain a clear understanding of what it is. Healthcare informatics is the discipline that intersects with computer science, information science and healthcare. This discipline deals with devices, resources and the methodology necessary to effectively optimize the acquisition, storage, retrieval, assets, and use of information in the healthcare industry. 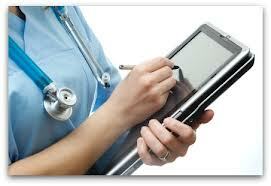 Another term commonly used to reference this field of discipline is healthcare information systems. It can be viewed as an IT model designed specifically for the healthcare industry. In order to provide expedient and optimal care, healthcare providers are always looking to increase their ability to collect and share data across certain channels. This allows a patient to visit a specialist and have the results of the visit be immediately available to his general practitioner, allowing for interoffice collaboration and more. Healthcare informatics involves clinical guidelines, computers, information and communication systems, and formal medical terminologies, and it is applicable to all fields within the healthcare spectrum, including clinical care, nursing, pharmacy, dentistry, public health, alternative medicine, physical therapy, bio-medical research and more. The general discipline of healthcare can be broken down into sub categories such as clinical informatics, translational bioinformatics as well as computational healthcare informatics. As the term might infer, clinical informatics is centered on the use of certain healthcare information by clinicians. The clinical informatician or informatics specialist will work to enhance the function and performance of data and communication systems used by clinicians. This will be accomplished by designing, implementing, analyzing and evaluating these systems on an ongoing basis. One of the concerns of the healthcare industry is that the current data and communications infrastructure that is in place is not adequate to sustain the new systems and technological advancements that are being implemented. If the infrastructures are not improved, the risks of data breaches will increase. For example, a recent report revealed that a certain healthcare organization in Texas was the victim of a cyber-attack in mid-December of 2013. More than 405,000 patients and employees records were exposed. Without the proper healthcare informatics system security in place, this can become a common occurrence. Translational Bioinformatics is a highly specific field that requires knowledge of biology. It involves a combination of clinical informatics, biostatistics, statistical genetics and molecular bioinformatics. This specific spectrum of informatics focuses on the branch of computer science as it directly relates to the use of computational techniques that are specifically relative to healthcare. This particular field is related to the general field of healthcare informatics but remains distinctive in that it only focuses on the computation aspect of the informatics process. As the healthcare industry is expected to continue its current growth trend beyond the year 2020, computer science majors can expect to see an increase in the number of opportunities in the field of healthcare informatics. There will be opportunities is every branch of the healthcare system, from clinical specialists to bioresearch. The focus on specific terminology that is associated with the healthcare system as well as certain healthcare specific guidelines will require that special training in those areas accompany the traditional computer science curriculum. The long-term projection is the healthcare informatics field is rather bright one for those who willing to pursue it. Healthcare informatics is the bridge that connects the technology revolution to the healthcare industry. It is the merging of computer science IT models with the term and functional specificity required for all healthcare guidelines. Those possessing the unique skills necessary to engage healthcare informatics will be part of an innovative IT model.